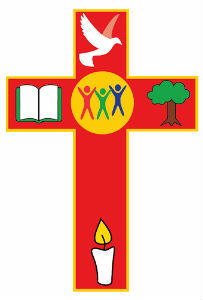 Christ Church CE (VA) Junior School is a small junior school for children aged 7-11, located in the heart of Sowerby Bridge. We have close links with Tuel Lane Infant School which is the feeder school. The school was built in 1971, replacing the Ellison Memorial School and had a classroom extension in 2004. The School is housed in a single storey building. There are 5 classrooms, 3 libraries, a main hall and a stage area. We are lucky enough to have extensive outdoor grounds which facilitate endless outdoor learning opportunities. These grounds include an extensive area of grass which is used for a variety of sporting activities and two playgrounds. There is also a wooden activity trail, a tiered vegetable patch and a wildlife area which also houses our pond.